This Mexican Breakfast Salad channels all the deliciousness of a taco salad with a healthy brunch-worthy twist! 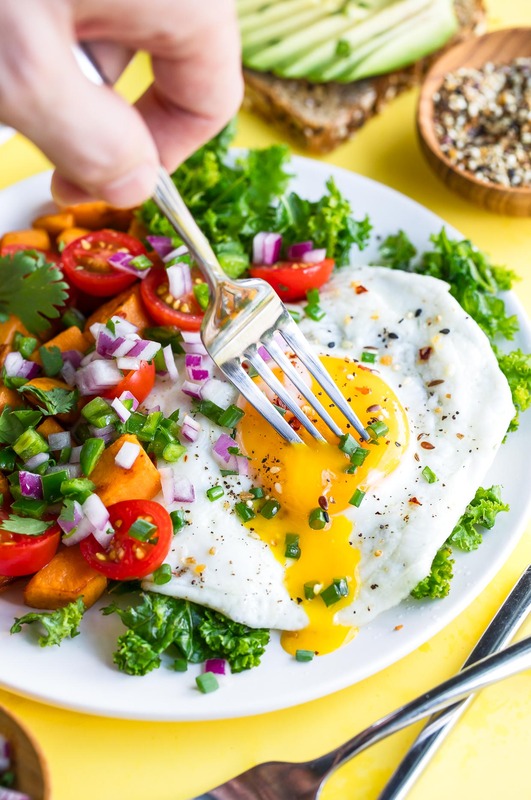 Change up the greens and veggies based on what you have handy, and get ready to kickstart your day with a tasty, veggie-packed breakfast! Breakfast salads are all the rage right now. Have you seen them on brunch menus yet? Drooled over them on Instagram perhaps? Or maybe you’re sitting here scratching your head wondering what sort of veggie nonsense I’m brainwashing you with today but HOLY COW PEOPLE, do it. Now. Yesterday, even. 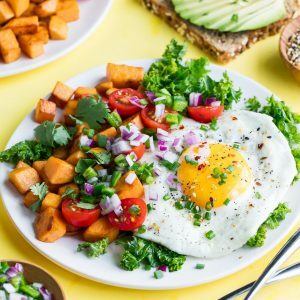 If you’ve ever wondered how to lean up your breakfast, brunch, and brinner game or how on Earth you’re going to get more veggies into your diet – these sassy salads are for you! They can even be made paleo and whole30 friendly by skipping the optional avocado toast. Rocking a keto diet these days? 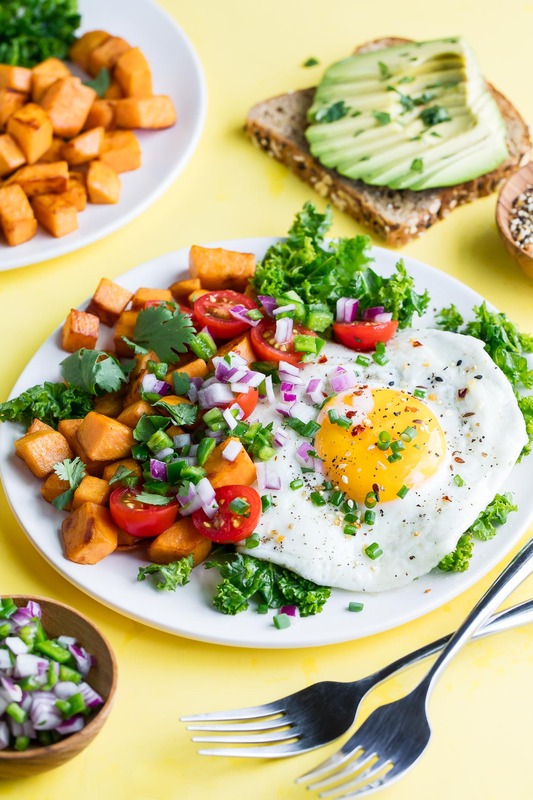 Swap out the sweet potato and try this baller breakfast salad with butternut squash or spaghetti squash. SO GOOD! Gluten-free? So is this salad! Breakfast salads are one of those breakfasts you can throw together with whatever you have handy! No sweet potato? Try it with butternut squash or regular potatoes. In place of the kale you can use fresh baby spinach (sautéed or raw) or even arugula. For the eggs, you can fry them, scramble them, or even try this tasty dish with hard boiled or soft boiled eggs! With so many endless ingredient combinations, you’ll never bore of these baller breakfast salads! 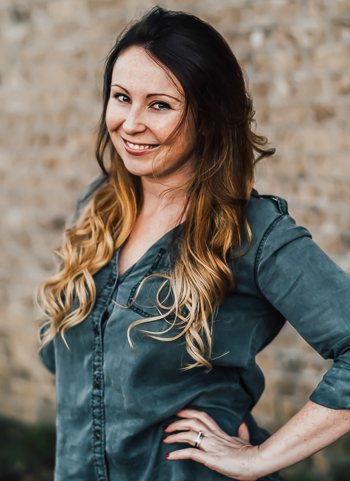 I’m stoked to be teaming up with P&C sponsor Nellie’s Free Range Eggs to create recipe using their tasty free range eggs! These yummy breakfast salads are a fiesta on a plate! These beautiful breakfast bowls are the best way to lean up your summer eats while still face planting into something hearty, filling, and delicious. I love mine with a piping hot cup of coffee and a slice of avocado toast. Plus choose all your favorite extras from the list below! Peel and dice your sweet potato into 1/2-inch cubes. Heat a large skillet over medium-high heat and add your oil or butter to the pan. Once hot, sauté sweet potato cubes until golden and tender, stirring every few minutes for even browning, approx. 15 minutes depending on size. Lastly season with chili powder and salt and pepper, to taste. 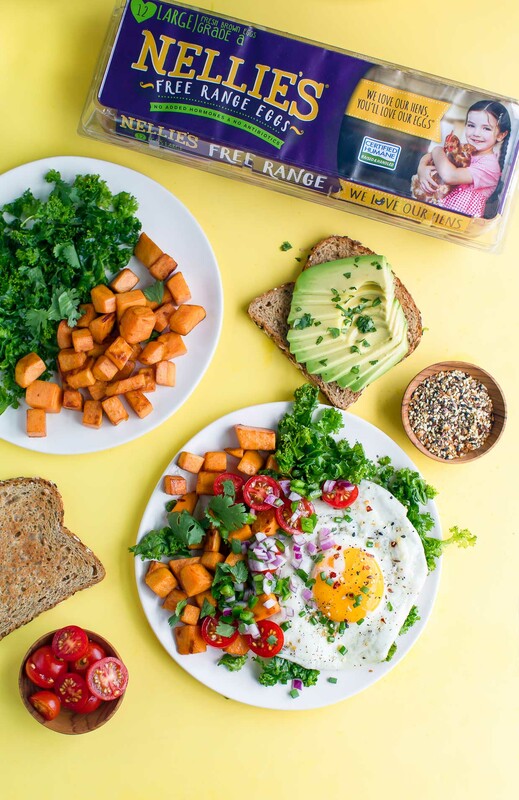 While the sweet potatoes cook you'll be able to whip up the rest of your breakfast! Chop your kale into bite sized pieces, then massage with a drizzle of olive oil and a teeny pinch of sea salt. If using spinach/arugula in place of the kale, simply dress with a little oil. Set aside. For the pico de gallo, simply combine the ingredients above. You may also use your favorite salsa in its place! Lastly cook eggs via your favorite method. I went with fried eggs but hard boiled, soft boiled, and scrambled are all tasty options! Toss it all together on a plate and dive in with your choice of topping and extras! I added a side of avocado toast with cilantro and sprinkled a little everything bagel seasoning, green onion, salt and pepper on my eggs. Perfecto! Cook time will vary if hard/soft boiled eggs are desired and depending on how many eggs you'd like fry up. Paleo/Whole30/Gluten-Free: skip optional toppings sides that don't apply and you're good to go! 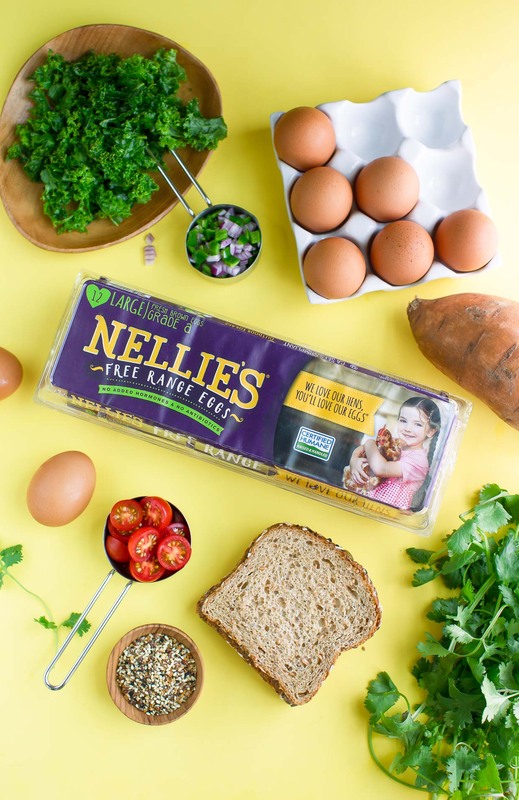 Have y’all tried Nellie’s eggs yet? We’re in LOVE and I’m super proud to! Their tasty Certified Humane® eggs come from small family farms with ample room, shelter, and no cages whatsoever. Their well-loved hens have ready access to the outdoors and fresh grass. I’m super impressed with this company and their dedication to the Humane Farm Animal Care Program. For sure check it out when you have a chance! You can also follow along with Nellie’s Free Range on Facebook and Instagram for more tasty meal ideas and recipes. Instant Pot Frittata Breakfast Casserole <– another tasty creation with Nellie’s eggs! If you get a chance to try this crazy tasty Mexican breakfast salad or whip up a custom creation of your own, let me know! Leave some love in the comment form below or tag your photos with @peasandcrayons on Instagram so I can happy dance over your masterpiece! great, love all the ingredients and like all the ideas that you give with each recipe. Thank you. Yummy! This is the breakfast of dreams! That runny egg yolk makes the morning so much better! The runny yolk was totally a must for this dish – so glad you’re loving it Shadi! Well isn’t this a genius idea! I would love sitting down to this for breakfast. Pinning! Salad for breakfast! Count me in! It looks so tasty! It’s basically the best way to start the day! Glad you’re in on the b-fast salad love! Oh this looks so delicious. We never skip breakfast and I’m always looking for inspiration what to prepare for my family. Can’t wait to give this a go. Thanks Natalie! Hope you get a chance to try it soon – LMK what you think! Yum! I love Mexican any time of the day and your recipe looks perfect! I always use Nellies eggs and I can’t wait to try your recipe! Nellie’s is amazing, right?! Thank you Elaine! I get so bored with breakfast and this sounds like an amazing and delicious way to mix it up! Great idea! Thanks Jamie! It’s for sure a great way to shake things up!